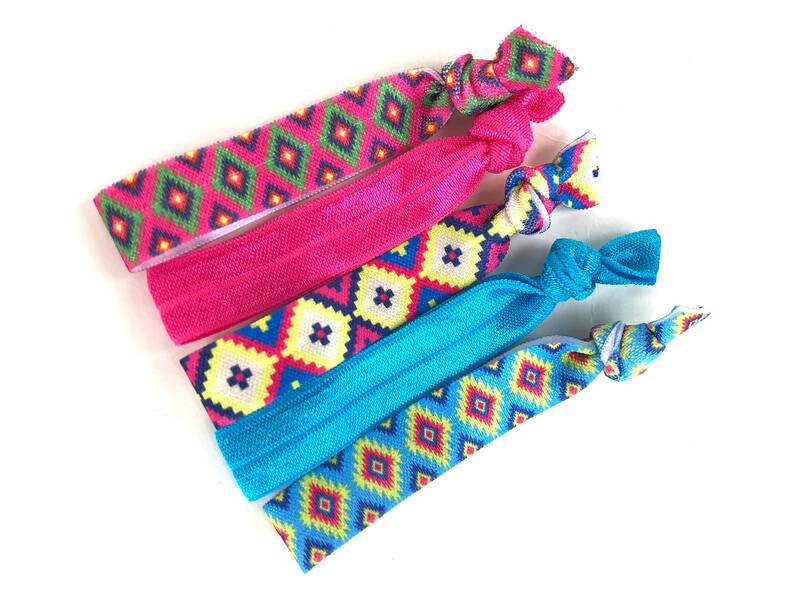 Handmade with high quality elastic. Heat sealed to prevent fraying. They won't pull or crease. Perfect for all ages. 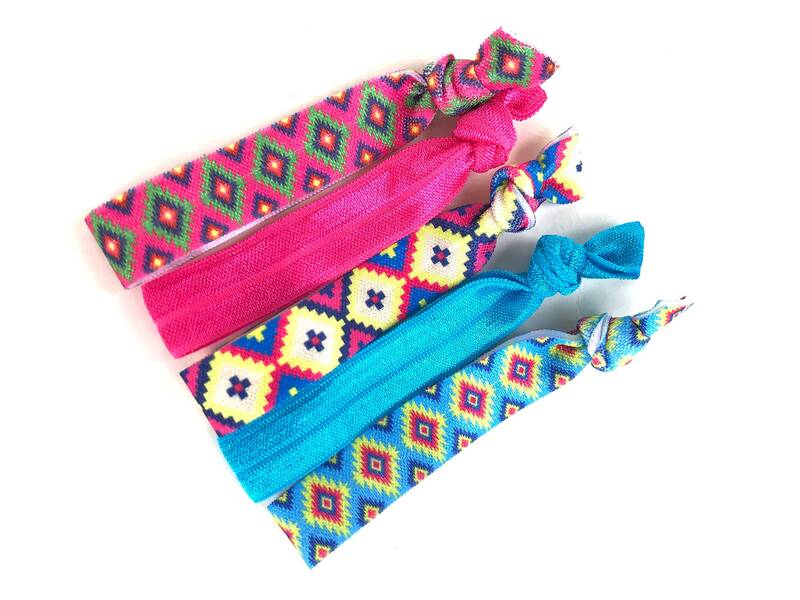 Set includes 3 aztec prints, a hot pink and a vivid blue elastic. Can also be worn as a bracelet! All hair bows, hair ties and baby headbands are made to order and custom requests are gladly accepted.